Who are the potential sleepers for Saturday’s Kentucky Derby? Here are a few to consider if you’re wagering this weekend. 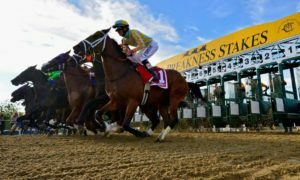 What are the latest Kentucky Derby odds? First, let’s discuss the current odds for this weekend’s Triple Crown race. In terms of which contender is favored, Always Dreaming and Classic Empire have flipped yet again. According to oddsmakers, Always Dreaming is 4/1 to win the Kentucky Derby, while Classic Empire has 5/1 odds. Always Dreaming was favored earlier this week, but when post positions were drawn Wednesday, Classic Empire emerged as the favorite. Now the two are back to where they started. Meanwhile, McCraken is 17/4, Irish War Cry is 8/1, and Gormley and Gunnevera are 10/1, respectively. Girvin is 14/1, Irap and Practical Joke are 15/1, respectively, and Hence is 20/1. In fact, Lookin At Lee, Patrch, Tapwrit and Thunder Snow are all 20/1, respectively. Which Derby contenders could at least challenge for the money on Saturday? Here are three thoroughbreds not named Always Dreaming, Classic Empire or McCraken. There are two main reasons to like Tapwrit as a potential sleeper this Saturday at Churchill Downs. 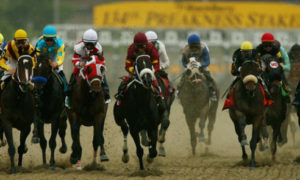 For starters, it’s supposed to rain at the Kentucky Derby, making the track muddy and wet. 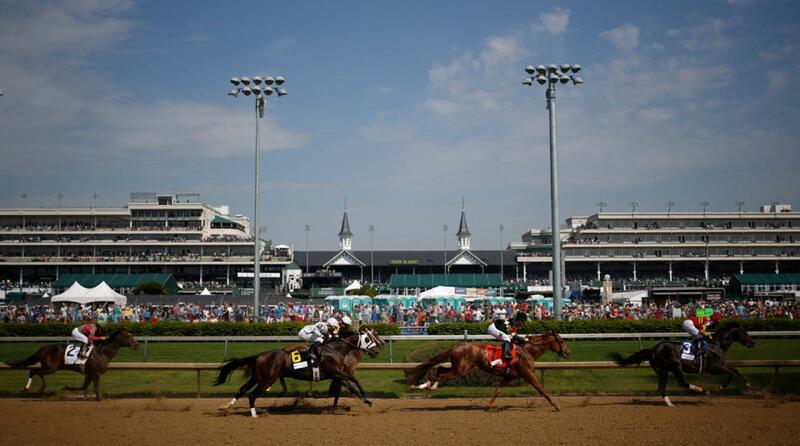 Experienced handicappers know that rain is often a game-changer in the Kentucky Derby. It’s not long ago that Mine That Bird won as a 50/1 long-shot, mainly because he was able to handle the wet conditions. Tapwrit won the Pulpit Stakes at Gulfstream Park on a sloppy track in his lone wet-track start. One could argue that he merely beat a field of turfers that couldn’t handle the wet track, but he won nonetheless. The other reason to like Tapwrit? His running style. He impressed greatly in his Lambholm South Tampa Bay Derby performance by showing tremendous acceleration. He has the speed to emerge from the middle of the pack and 20/1, is currently offered at a nice price. This colt drew the No. 1 post position on Wednesday, so he already has an inside track (literally). A deep closer that rallied for third in the Arkansas Derby, Lookin At Lee has two wins, two second-place showings, and two third-place efforts in nine career starts. I wouldn’t necessarily bet him to win, but Lookin At Lee could be a solid choice to round out your superfecta. Hence is coming off six weeks of rest, has an elite rider in Florent Geroux, and is coming off a win in the March 26 Sunland Derby. Trainer Steve Asmussen also has had some success finishing in the money at the Derby, finishing second once and third three times. Hence has also posted three quick workouts at Churchill Downs and has a nice pedigree to boot. Don’t sleep on this contender at 20/1.